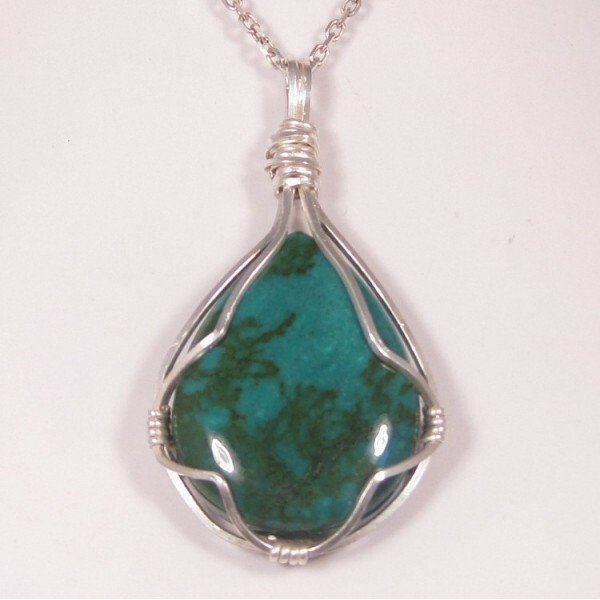 Unique handmade wrapped Turquoise pendant, made with sterling silver wire and turquoise. Please note the chain is not included. 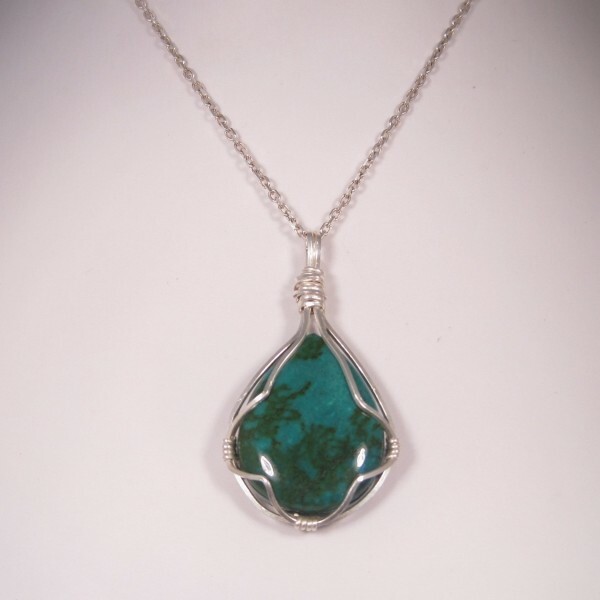 Click the ADD TO BASKET button to buy this original handmade pendant today.